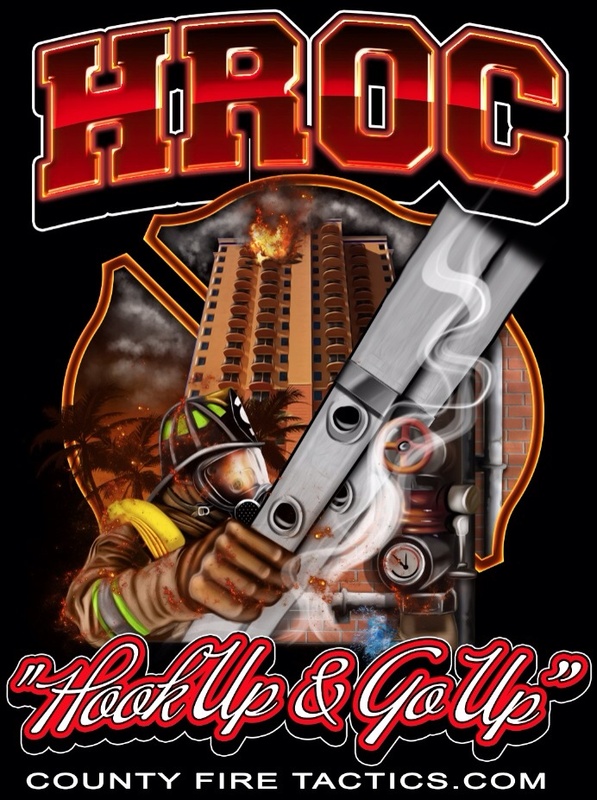 HROC 2015 is SOLD OUT!! Take Time and Read this. Registration will Close in 48 Hours. 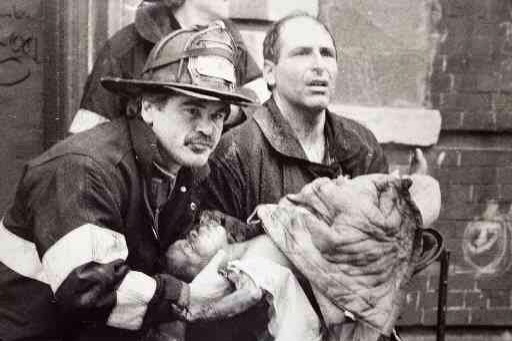 “Everybody loves being a firefighter.” That is the one universal statement that stands up over time. It doesn’t matter if you came on during the legacy years or modern times, the quote is unwavering. While that’s great for the fire service and gives us common ground, everything after that is up for grabs, even grabs. You see not everyone believes in grabs. Some don’t feel they can happen due to a variety of reasons, such as response times, smoke intensity, staffing shortages, and rescuer risk. Some of those factors we control and some we don’t. I can easily understand the items out of my control and how certain realities restrict making a grab. What I find disquieting is the almost knee jerk refusal to put one’s self out there on the internet never mind the fireground. Firefighters are public defenders who try to save people. If given the opportunity to make a grab would you do it? Many raise their internet voices up in a resounding, “No thanks.” Posts regarding lives of less value then their own, is that what we do now judge who gets saved and who doesn’t based on whim? Of course they give reasons; one has to supply some reasons for opting out on saving lives. The litany of reasons can sound technically impressive but it’s missing a big one, fear. My question is can you be that smug and still not cite fear as a reason? It’s alright to be fearful – that’s why It’s a rescue, because it could go south. There are many rescues that have worked, and failed too. They couldn’t get out with their charge, a rope snaps, things changed and deteriorated. We honor them for their love, not of the job, but for the victim. It is not easy to make a grab. It’s a test and it is a test you want to pass. For those that wish to opt out, there is comfort, at least over the internet, stating the virtues of their decisions. We want firefighters that understand risk. We want firefighters that recognize their capabilities too. We see many people who get into horrific accidents and we work to free them with little protest. We don’t hear much regarding opting out of that type of life saving and that’s probably because we don’t feel threatened by that environment. Well, many firefighters feel the same way about the fireground – comfortable. How you get to that comfort level is up to you, but once you get there being in tune with what others need should come easier to you. It’s best to remain positive especially as a firefighter. When we respond. we should be thinking we can force any door, stretch any line, put out any fire and rescue those trapped. If you’re on a different path, stop short changing yourself. You won’t always win, but having inaction as your mantra is not helping anyone. It’s simple if you can get it done, then do it! Building a reserve of excuses doesn’t save lives, actions do that. Getting involved in something bigger than yourself takes a mindset, if you’re all about reasons why your efforts would be fruitless, you are the one who needs mercy. The link below is to Pass It On Fire Training with multiple links to other training articles and videos. Ethan Bansek attended the 8 Hour CFT Seminar in Columbus, Ohio on June 11 and he has put his notes out for everyone to see. Where are they NOW ??? Mike Alt can you tell us more??? I will not make excuses for supporting Aggressive Interior Firefighting. I have supported Direct Water Application since the 90s and have been teaching it for nearly 15 years. I supported going through the front door even with fire venting through that same door way before some test burns proved that we don’t PUSH FIRE with straight and SOLID streams. Urban Firefighters have been teaching Direct Water Application/Entry through the front door most of the time regardless of fire location. They taught this based on hundreds of FIRES they had been apart of extinguishing, at all times of the day and night. Fires that were not in a controlled environment in the middle of the day. These fires were in all types of structures with different fuel packages and different tactics. There was a time that the Urban/Fireground Experienced Firefighter was valued. Their time fighting REAL FIRES under emergency conditions were valued as a positive and not as a negative. It seems that some feel just reading books and spending time on social media certifies them to tell others how its done. I realize not all firefighters have the opportunity to get fight fires frequently and that’s ok. I respect the firefighter that continues to read and train so when the do have a fire, they are that much more prepared for BATTLE. Battle is what fighting fires is and always will be. You can not completely replace or reach the same level without the experiences. Its like our USA Women’s Soccer Team. They won not only from skill but the experience of playing in BIG MATCHES. Experience Matters! Take classes, Train in a drill tower, Get Acquired Structures, do whatever you can to prepare yourself for BATTLE. But at the end of the day you cant fully replace time compressed decision making under emergency conditions. The Fireground is a unique place and so many can do a certain tactic on the drill field, but fail to be able at 2am when fire is blowing out multiple windows. Time teaches us all that experience matters in so many parts of life. Kids thin their smarting than mom and dad until they get older. Life teaches us lessons. I wish more were looking to study the Urban Firefighter and working towards making the most with their staffing instead of making up excuses. Time Delayed Tactics is part of limited staffing. Figure out what needs to be done and then prioritize. You may need to delay some tactics until more staffing arises. Stop Making Excuses and figure out how to do the best you can, with what’s provided to you. I realize some do not have the staffing to vertically ventilate. But just because you do not have the staffing does not mean its not needed, just that you can’t do it based on staffing levels. We haven’t been doing it wrong. We have been very successful in the fire service at saving civilian lives and property. We continue to save lives everyday. We must continue to look for the best way in and sometimes/most of the time that’s the FRONT DOOR. If we do not slow down on this push for exterior fire attack at fires, Civilians Lives will be lost in larger numbers. I have studied a large number of civilian rescues/grabs. The Grabs/Rescues were done on firegrounds were AGGRESSIVE INTERIOR TACTICS were used from the start. Civilians are mostly dying from smoke inhalation and not thermal burns. You can FLOW WATER from the yard all day and COOL the environment. But if FIREFIGHTERS are not getting inside rapidly to locate and remove the trapped civilians, they will die regardless of how COLD your HARD FROM THE YARD is. This is not a HOT and COLD topic. Its a LIFE and DEATH topic. Lets get back to putting the CIVILIAN FIRST!! I am VERY proud to tell my family and neighbors that they come first when I am on-duty ready to SERVE. I am ready to serve them like the Soldier is serving all of us to provide FREEDOM. We are/become so SAFETY CONCIOUS were almost hang cuffing ourselves. Safety is Great until it cost more Lives than its saving. Let me say that again….. SAFETY is GREAT, Until it Cost More Lives than its SAVING!! Aggressive Firefighting Saves Lives and Property. If you want to save firefighter lives than push for better diets, more time getting physically fit, better annual physicals, less stress in the firehouse, and WEARING SEATBELTS.. Wish I had more time to RANT. I support Transitional Attack when staffing or the Fire Dictates. But I do not respond looking to do that as my first option. I hope that staffing and fire conditions allow an Offensive Interior Attack, utilizing the front door.